Casey graduated with honours from La Trobe University in 2006 and has worked in private practice, developmental and elite sports since. While working in Melbourne, Casey was involved in the Youth Commonwealth Games, Commonwealth Games and Pacific School Games and worked as team physiotherapist across a number of sporting codes including soccer for the Victorian Institute of Sport and Football Federation Victoria National Training Centre. She also worked as physiotherapist for Tasmanian National netball teams. In 2014, Casey moved to Canberra for a position working with the Basketball Australia and Netball Australia Centre of Excellence programs at the Australian Institute of Sport. During this time, she was also lucky enough to work with a variety of other National Sporting Organisations such as gymnastics, water polo, athletics and volleyball. 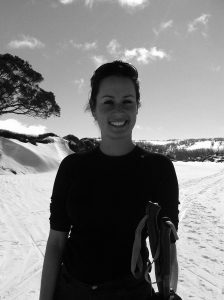 Since leaving the AIS, Casey has travelled internationally with Netball Australia and Volleyball Australia, worked with a variety of snow sports injuries at Thredbo and been a sports physiotherapist at the 2016 Alice Springs Masters Games. She continues to contract with Basketball Australia and worked for the NBA at the recent 2017 NBA Academy Games. Continuing her interest in the high-performance arena, Casey currently works with Canberra Gunners in basketball and Canberra Cavalry in baseball. She is also looking forward to the upcoming 2018 Gold Coast Commonwealth Games where she will be working as a National team physiotherapist.